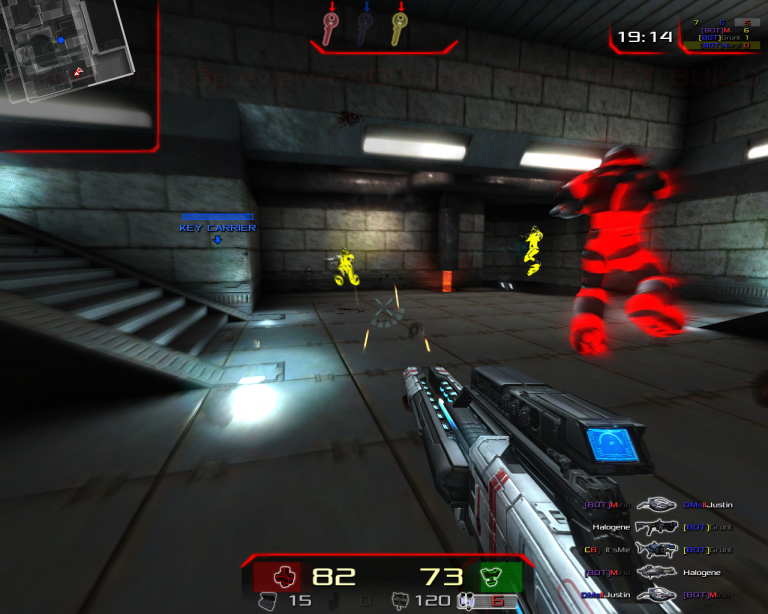 Xonotic is a fast-paced arena-style first-person shooter for Windows, Linux and Mac. Powered by a modified version of the Quake engine, the program’s quality graphics and lengthy feature list already outperform some commercial products. The game is convenient to play as there’s no setup required, and just a single download to cover all platforms. Grab a copy, unzip it and go. Xonotic can take a while to master. It has nine core weapons, 16 full weapons, each with their own primary and secondary fire modes and all useful in specific situations. And although you might think you’ll have time to experiment, the gameplay is so fast that you’ll have plenty of work to do in just staying alive. Fortunately, there’s a simple single-player mode available where you can practice with some bots. Once you’re ready, go online and you can play against others in 25 official maps or dozens of community offerings (including Nexuiz and conversions from Quake 3). Xonotic also offers a huge range of game modes -- Deathmatch, Capture the Flag, Clan Arena, more -- to add variety. Built-in player stats are on hand to track your progress. When you’re confident of your skills, you might record games to show others later. And there are a host of other tools and features, ranging from a customizable heads-up display to a "spectator mode" and a smart anticheat system. The recent Xonotic 0.8.2 release extends the package with new maps and weapon models, a "quick menu", a new minigame system, vehicle improvements, an extended HUD, UI improvements, major code refactoring, bug fixes and more. Xonotic is available for Windows, Linux and Mac.